So Layden was just trolling fans, then. Yesterday, when Shawn Layden took the stage at the PlayStation Experience keynote to present, you could almost hear a collective gasp from the audience- the dude was wearing a Crash Bandicoot shirt. Surely this, just the latest in a long line of (inadvertent?) Crash related teases from Sony, meant something? 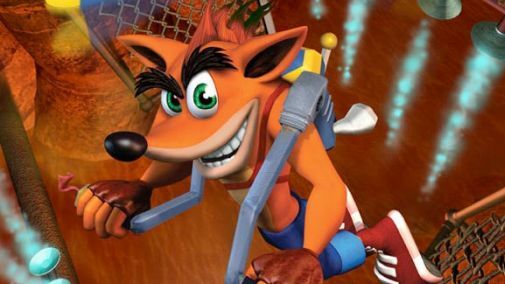 Was today going to be the day when we would finally get the announcement of a new Crash game on the PlayStation? As it turned out, that didn’t happen. If the Crash T-shirt was a tease, no one, including Sony, knows what it was a tease for. In a question and answer session that was aired live on Twitch with Greg Miller’s PS I Love You, Sony Worldwide Studios’ Shuhei Yoshida admitted that he had no idea why Layden had worn the shirt he had worn- Yoshida hadn’t even known that Layden would be wearing it. Layden, mate, you’re playing with fire here. Never lead fans on like that- just ask Microsoft and Conker fans how that turns out.